Thanks to the Columbia and Willamette Rivers, life in Portland, Oregon requires a lot of hops across the water. 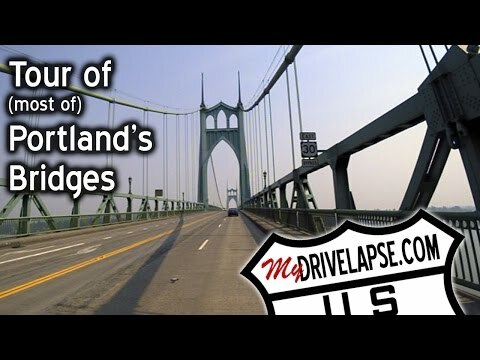 Portland handles this need in style, with some extraordinary structures that are fun to drive, and provide great views of the city. So here are several of them. Enjoy! I made this trip in August, 2015. Video shot with a Brinno TLC-200 Pro time-lapse camera, mounted on my roof with a homemade magnetic case..